Created with versatility in mind, the hard-wearing and highly functional Essence collections are designed to fit seamlessly together. All collections of the Essence family can easily be combined with each other, to offer high quality flooring at an affordable price. Check out the collections and Mix and Match it your way! 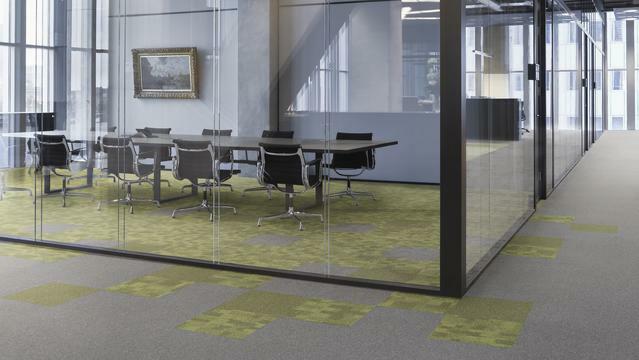 Essence is a strikingly simple flooring solution with endless creative scope. 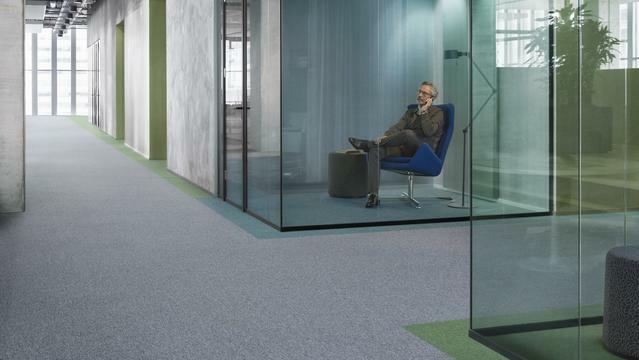 Acting as the building block in a portfolio of four carpet collections, the plain loop Essence tile comes in a palette of 31 refreshing colours, all integrated throughout the Maze, Structure and Stripe ranges. It allows for playful experimentation and a seamless end result. Boasting a stunning geometric pattern, Essence Maze offers a colour palette ranging from understated neutrals to bold accent tones. 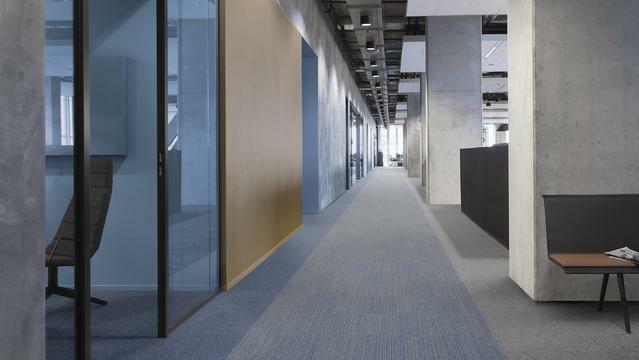 The range of 12 colours has been designed for pairing with block tiles from the Essence product family, and can be installed at random to striking effect. Designed for commercial settings, Essence Stripe adds a sense of youthful playfulness to the Essence product family. Boasting a linear, striped design and a refreshing palette of 12 refreshing colours, it complements any other product in the Essence, Maze and Structure collections. Essence Structure takes on a more organic form. Its ‘stone-washed’ look is achieved through the juxtaposition of light and dark tones. 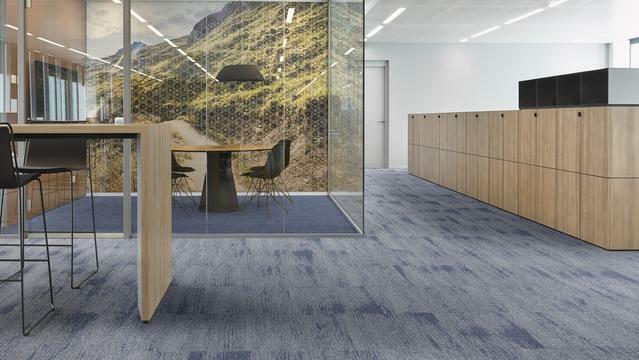 Available in a palette of 12 colours, tiles of 50x50 cm ánd planks of 100x25 cm, it can be combined with any other product in the Essence family, offering complete creative versatility.